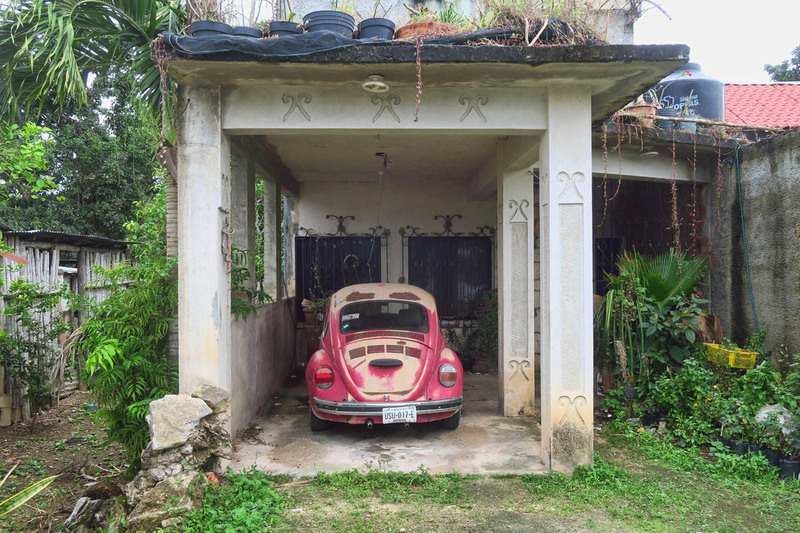 After spending a week on the island of Caye Caulker in a near-vegetative state, I am eager to get back on the trail. 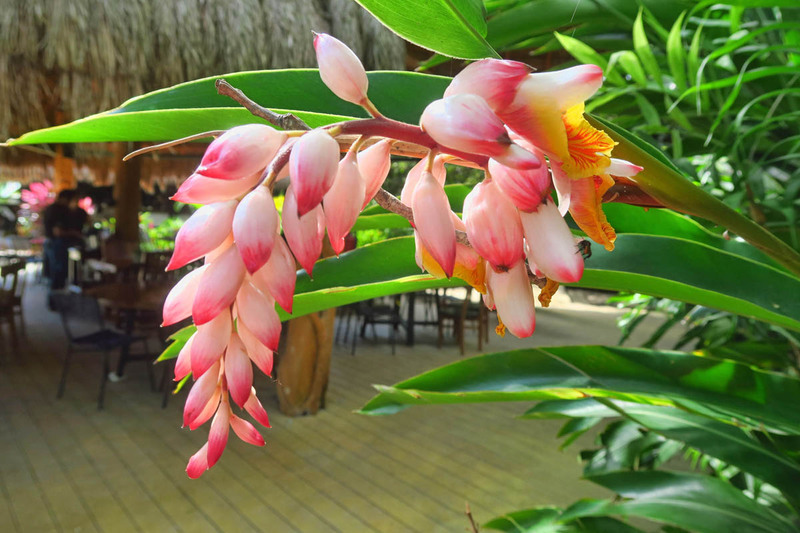 Having spent a good bit of time exploring Belize “pre-blog” days, my reason for returning this time around was solely to visit the island. 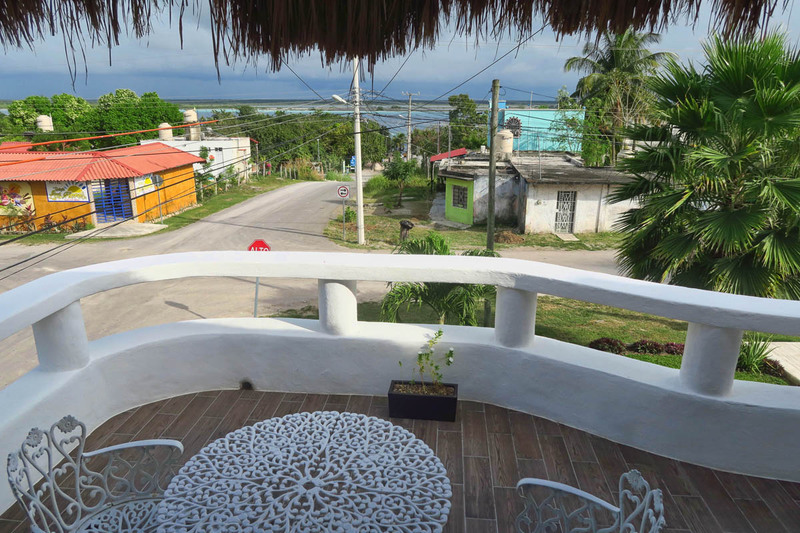 So I head back across the border to mainland Mexico to continue up the Yucatan Peninsula. The plan is to fit a couple more stops in before my flight from Cancun to Ecuador. 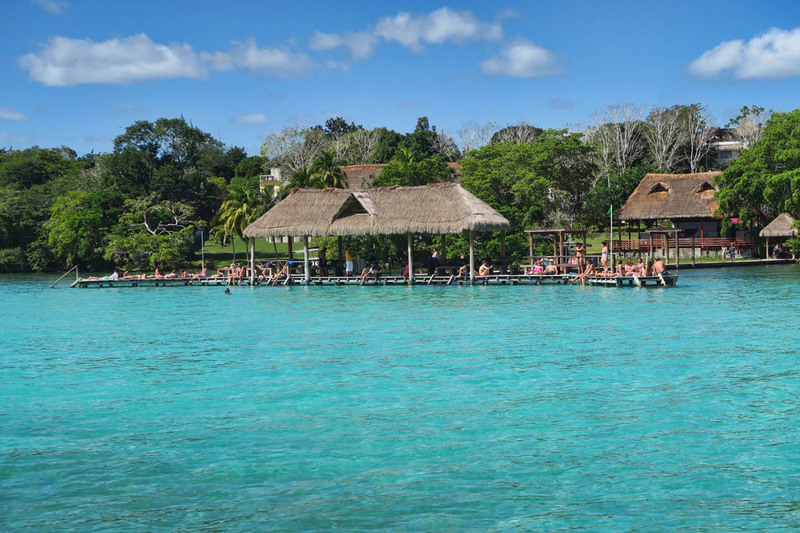 One of those spots is another of Mexico’s Pueblo Magicos (magic towns,) Bacalar. 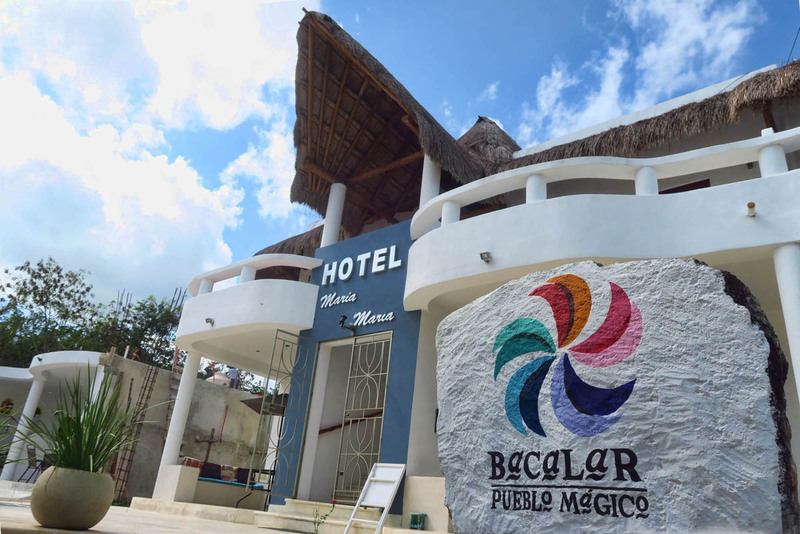 As I have mentioned before, I have a similar opinion about Mexico’s “Pueblo Magico” program as I do about the US National Park Service…don’t pass them up. Yes, they will be heavily touristed, and some may not be worth the trip. But there is a reason why they achieved this status, whether it be National Park or Magic Town, and I want to go see what that reason is. 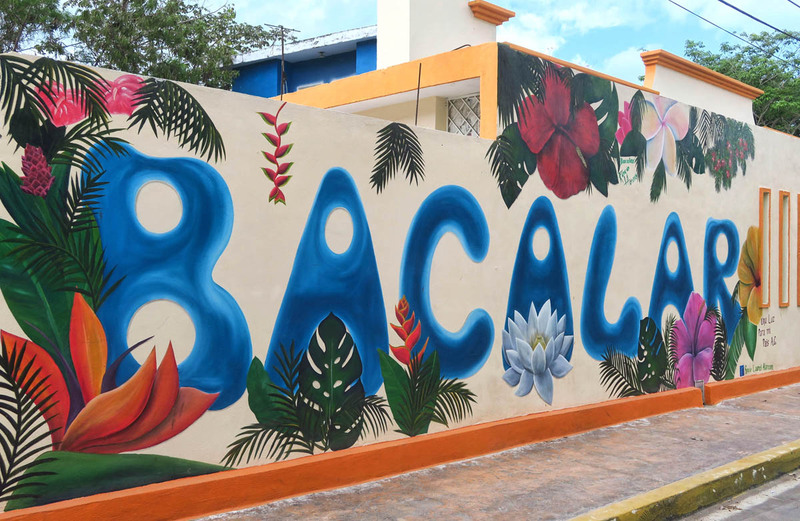 Lots of mural art in Bacalar. 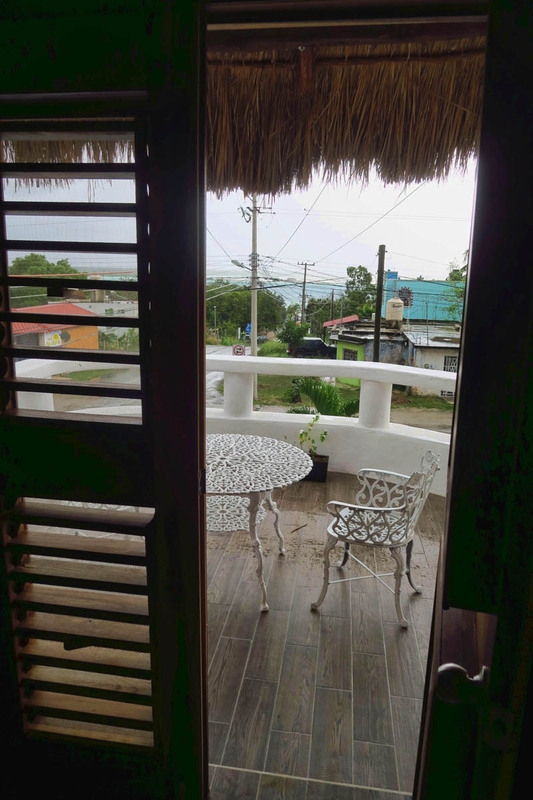 I highly recommend the lovely Hotel Maria Maria a couple of blocks from the lake. 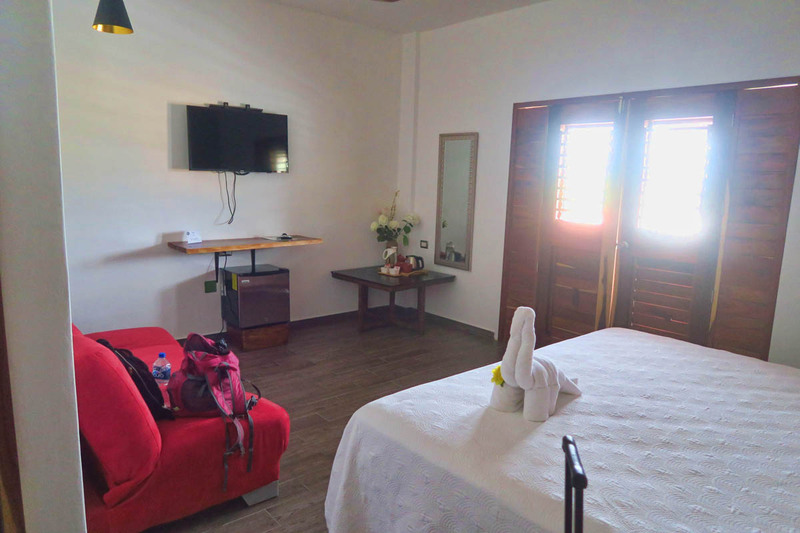 I double my $25/night budget for a splurge. I love the large wooden louvered doors, especially during the afternoon rain showers. Mexico’s Pueblo Magico (Magic Towns) campaign, established by Mexico’s Secretariat of Tourism (SECTUR,) is a way to recognize certain towns for their historic or cultural ambiance, and in the case of Bacalar, it’s a lake that boasts “seven colors.” So as I work my way around toward the Yucatan, the lake lies along my route only 25 miles north of Chetumal. 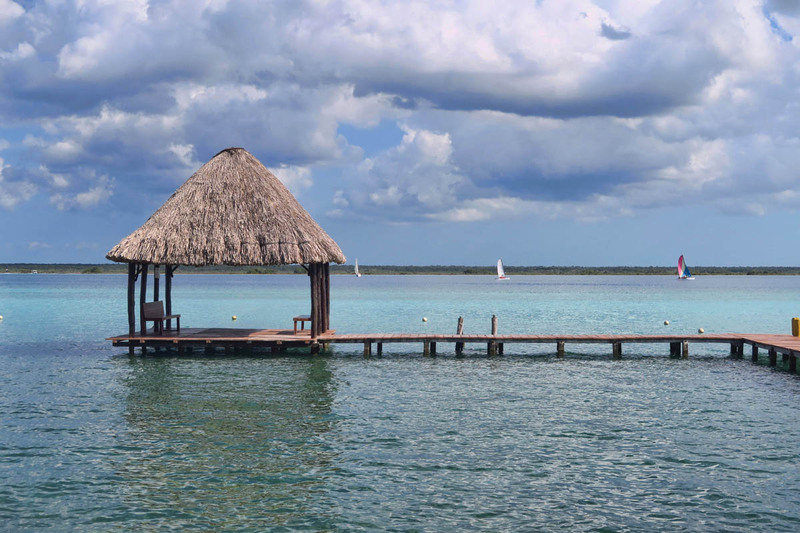 Bacalar is home to the lake that shares its same name. 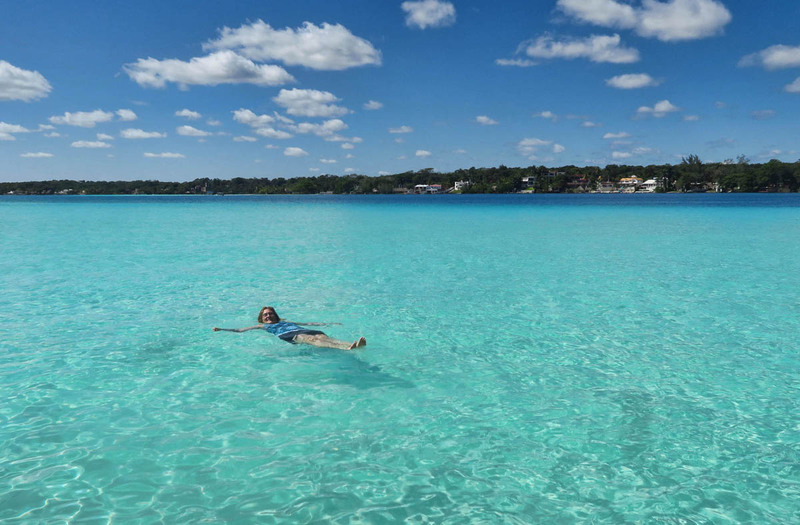 The Lake of Seven Colors gets its gorgeous variegated shades of blue from varying depths along a limestone and white sandy bottom. 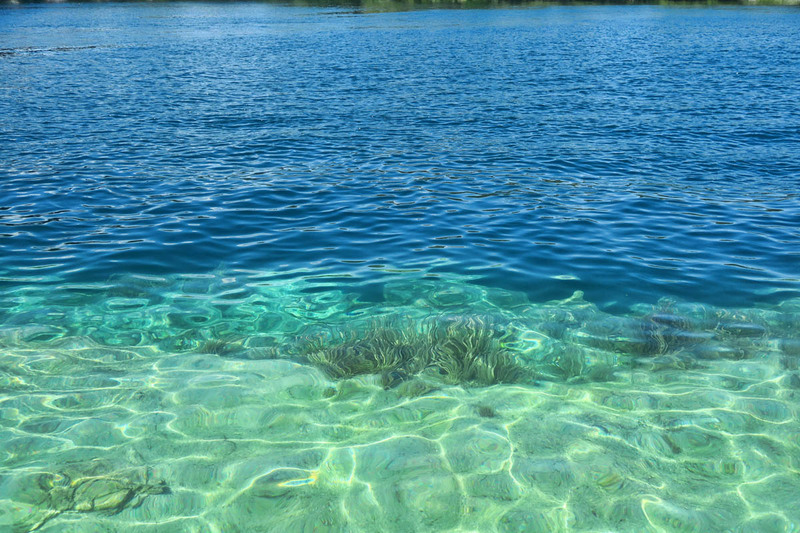 It is fed by underground springs that emerge through several “cenotes,” or underwater limestone sinkholes, with vast depth changes from 3 ft down to 300 ft that cause different shades of blue in the crystal clear water. Lots of small, local restaurants and coffee shops in town. 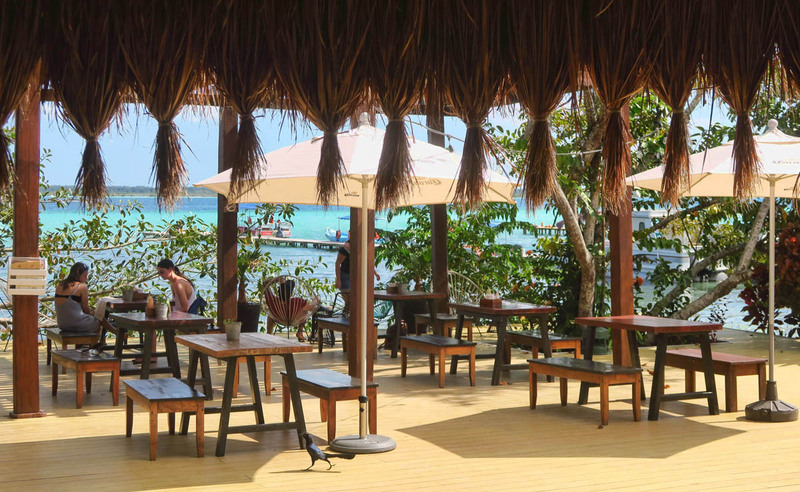 By the time I reach Bacalar, I’ve been nursing a pretty bad cold and five straight days of laryngitis, so I decide it is time for a splurge. I up my standard hotel room budget from $25 per night to $45 a night in exchange for an oversized bed with plenty of fluffy pillows, a room with a fridge, and a sunny balcony facing the lake. 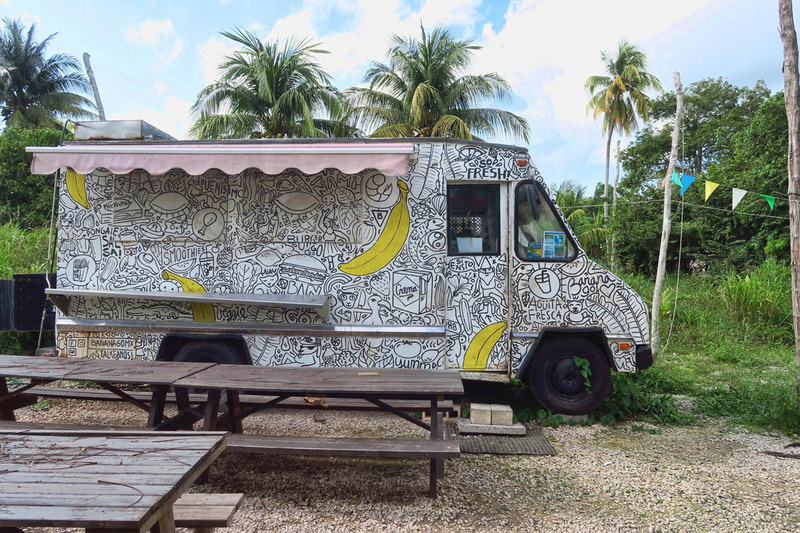 An ideal place to recoup after “roughing it” on Caye Caulker. When I made the decision to splurge, however, I thought I would be there for only two nights. But the weather was cool and overcast. Downright dreary. Though I was determined to swim in the Seven Color Lagoon, I didn’t think it was a good idea given I could barely eek out a sound outside of my nagging cough. So my two nights turned into four as I waited for the sun to come out. Thatched huts lend to the ambiance. This is the main municipal park with a free dock for swimming. Water lilies along the shore show clarity of water. A fun place to “hang out” while waiting on my boat tour. 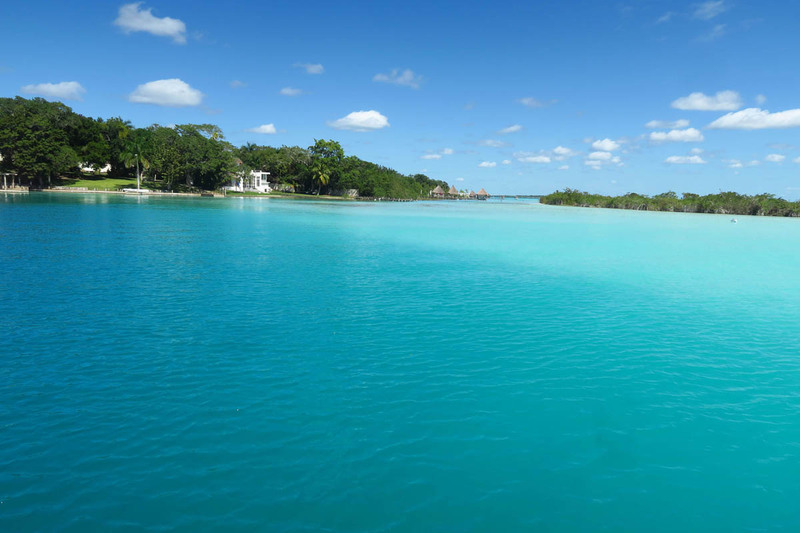 Lake Bacalar is about 34 miles long, and narrows down to a little over a mile wide in places. As one might imagine, water sports are abundant in the lake. 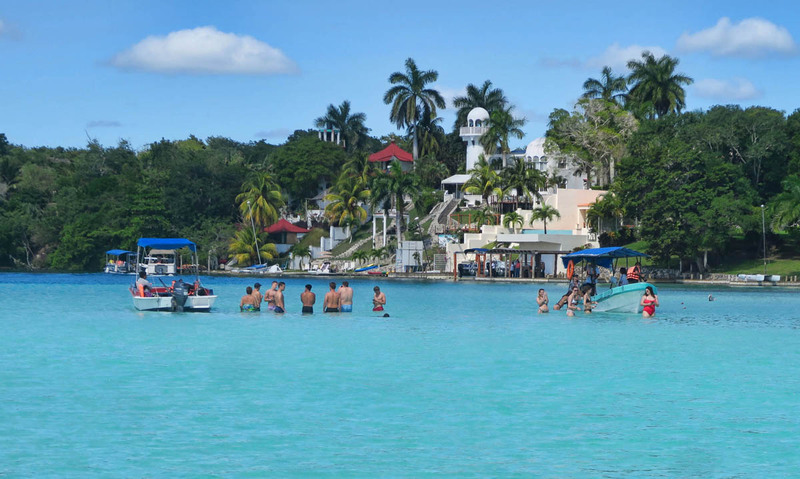 Kayaking, paddle-boarding, sailboats, and plenty of free public docks offer lots of venues for swimming. 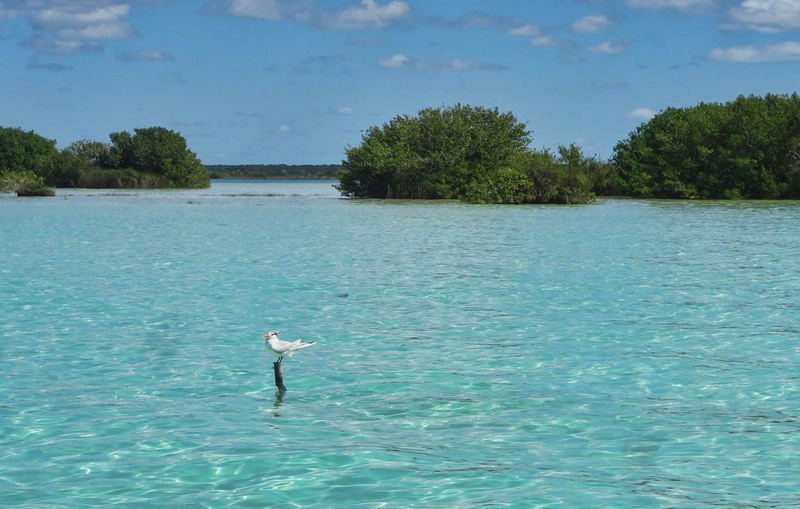 The main attraction is to take a motorboat tour around to the cenotes with stops along the way for swimming. These three hour tours include time for a quick “mud bath” at the sulfur pits. In keeping with my splurge, I spring for the additional $3 to rent a pontoon boat. Still not feeling my best, I decide the slow meandering across the lake sounds more soothing than the hard seats in the faster boats. 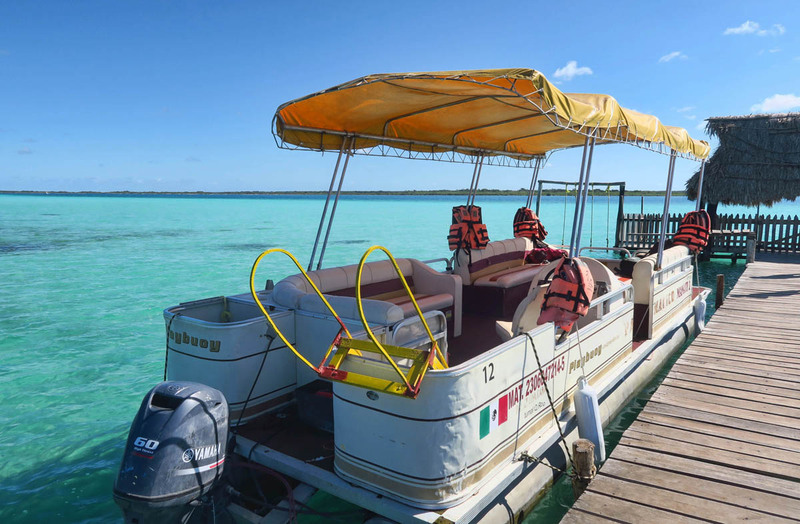 The way it works in Bacalar is you show up on the dock and wait for a tour. 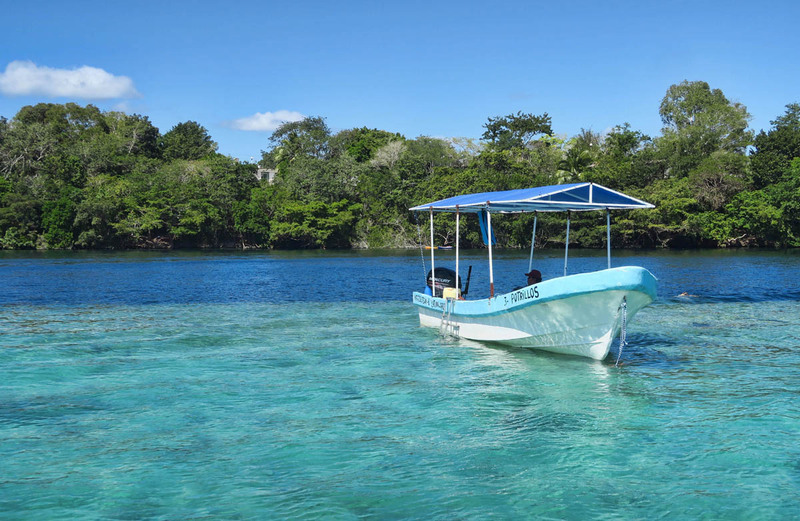 This type of boat is used for the typical boat tour of the lake. For $3 more, you can ride on a pontoon boat, which offers more comfort and ease of access to the water. 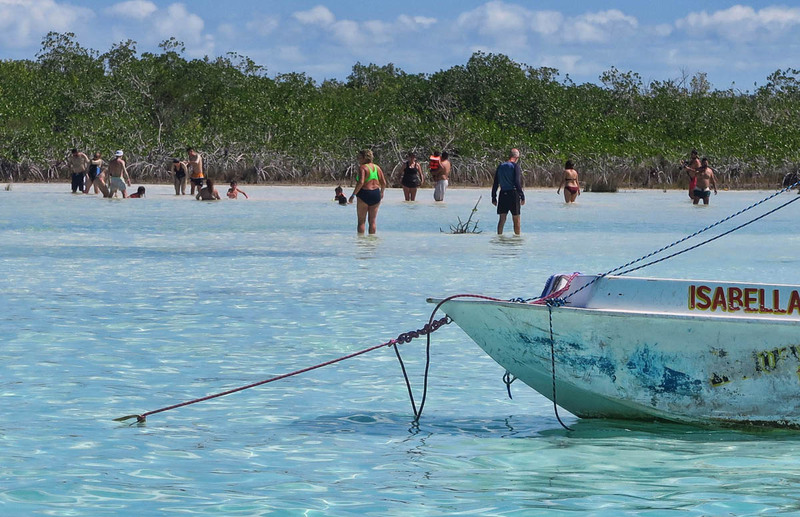 The boat offers several stops near cenotes, underground sink holes, where the depth plunges from 3ft to 300ft. One of the fancier hotels along the lake shore. 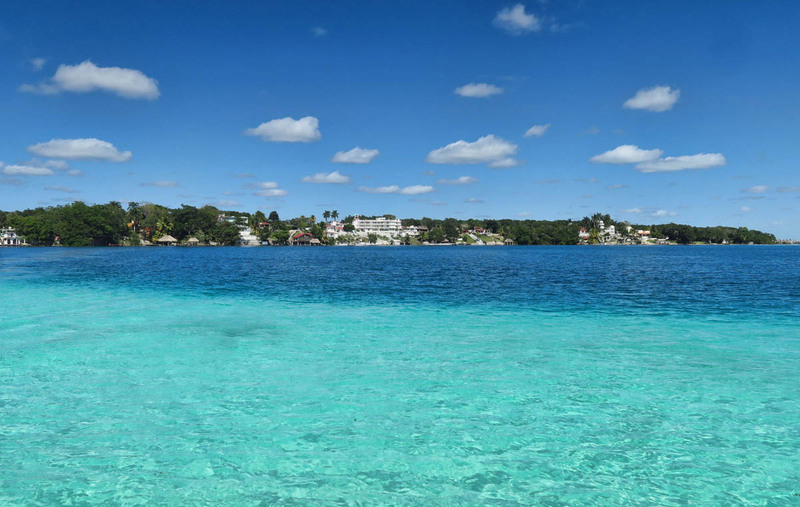 Swimming in Lake Bacalar is quite a mind bender. Never before have I been in a fresh water lake where the water is so blue! It’s like the Caribbean, only with no salt. Diving into aquamarine water this clear, I come up expecting my eyes to be stinging and to taste salt on my lips. Or chlorine. But the water is fresh and clear. 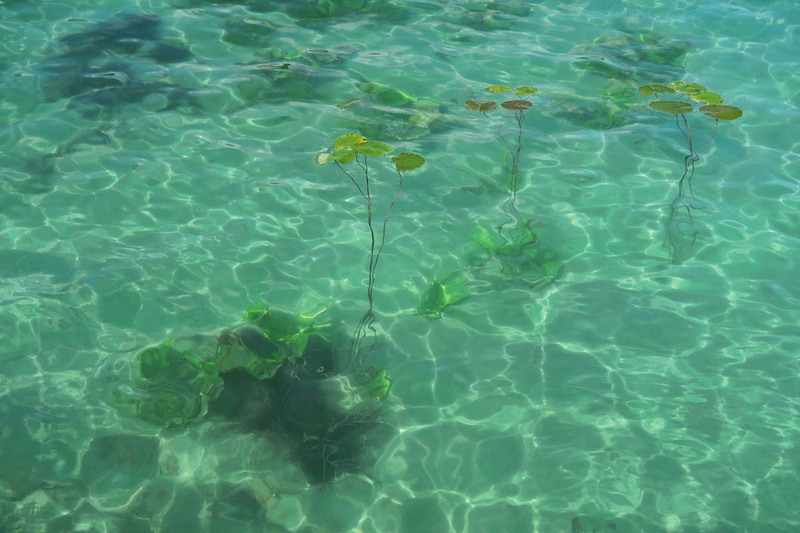 As our boat tour glides along the calm surface, my instinctive reaction is to peer beneath the surface thinking the shadows resemble stingrays or coral heads, but the fresh water landscape is barren save for a few water lilies. As the boat passes over the changes in depth, the water color dramatically changes. On the opposite side from town are sulfur pits where one can take a “mud bath” for purification and exfoliation of the skin. 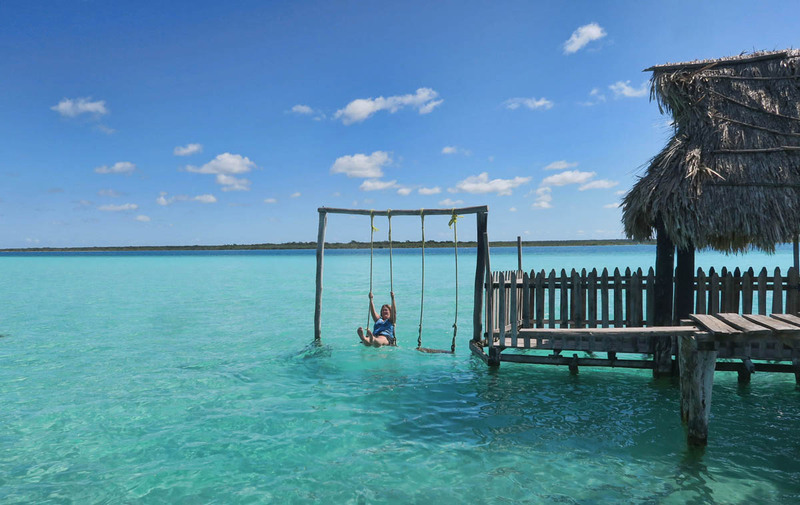 This entry was posted in Mexico and tagged Bacalar, Hotel Maria Maria, Pueblo Magico by Suzanne. Bookmark the permalink. Another restful stop. I hope you are feeling better, that is beautiful water. A beautiful place. I think my recovery in a place like this would take a long time. What a beautiful place. Would love to see one of those underwater sink holes, how unique! This reminds me of the wonderful springs in Texas, only on a much larger scale. Beautiful! I agree with Lisa, it reminds me of Balmorhea State Park in Texas but without the Texans. You are really piquing my interest in touring Mexico if our buddy doesn’t close the border. Lovely photos! and I do hope you are feeling better now. Wow! Awesome water. Might have to add this to my short list of places to explore. Did you get there by bus? And then bus to Cancun? Thanks for the photos and your descriptions…….. I spy with my little eye a summer plumaged Royal Tern 🙂 Beautiful place! OK then, I would say that is the place I want to be. Now. As I recover from this bad cold. I sure do enjoy following along on your adventures. Thanks, Amiga. I got a chuckle out of your $45 room. Nowadays you pay that or more for a night in a crappy RV park in the US, where you are bringing your own bed. Your room was much more appealing! Your room looks wonderful and a good place to get over the crud. That lakes is just phenomenal. We plan to visit the cenotes of Yucatan near Merida soon. Hope you are feeling better. I hope you’re having a great time in Ecuador, and are feeling better! Beautiful pictures and writing as usual! I’ve been sick so a little behind on reading!